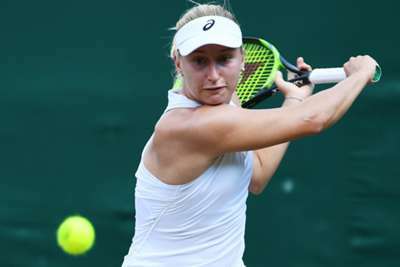 Defending champion Daria Gavrilova won her first-round match at the WTA Connecticut Open, while fellow seed Julia Goerges also advanced in New Haven. Unseeded before being bumped up to ninth following the withdrawal of fellow Australian Ashleigh Barty, Gavrilova opened her title defence with a 6-2 6-1 win over Irina-Camelia Begu on Sunday. "I felt right at home, and even going through the tunnel, I got a little bit emotional. It felt good last year and I played really well today. I thought I returned incredibly well and tactically, I played her really well," Gavrilova said. It was also a routine match for fifth seed Goerges, who won through at the Premier-level tournament by defeating former Australian Open runner-up Dominika Cibulkova 6-3 6-1. Defending champion @Daria_gav is off to a winning start at the @connecticutopen! "The good thing is, every week, we have a new opportunity to do better," Goerges said. 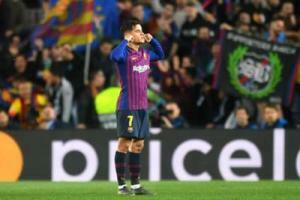 "That's what I'm trying to do in every match I'm playing, just trying to give my best. For me, it was important to learn to take a lot of positive things out of the losses I've had, and not be too tough on myself." There was an upset when eighth seed Barbora Strycova lost 7-6 (8-6) 6-4 to Carlo Suarez Navarro, while Magdalena Rybarikova progressed after Coco Vandeweghe retired due to an ankle injury in the final set when she led 3-2.